Acrok Software is committed to protecting your privacy. We will only collect your personal information for defined purposes. We do not distribute or share your personal information beyond what is strictly necessary to fulfill our obligations to you. 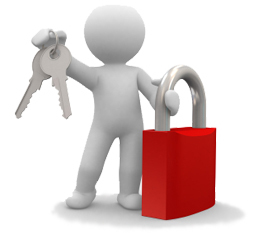 We may share your information only with partners who adhere to Acrok's commitment to protecting your privacy. Acrok Software will not sell your personal information in any manner whatsoever. Acrok software uses secure server hosted by SWREG and other 3rd party credit card processors that encrypt all the customer's personal information before it is sent to us, including name, address, credit card number, credit card expiration date, etc. Encryption works to prevent any malicious use of your personal information. Your credit card information is only used for online transition. SWREG is an advanced secure online payment service for software registration that has been in operation since 1987. Acrok Software uses SWREG to provide you with very secure and fast online purchase. Acrok Video Converter Ultimate helped me convert my downloaded video files to H.264 MP4. It's great that I can personalize and enhance the videos before I transfer them to my iPad. Highly recommended.